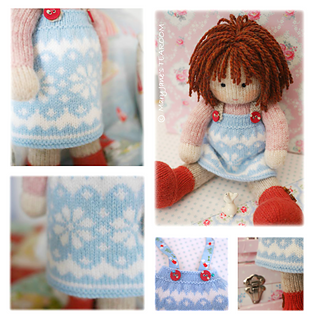 A pretty, colourwork pinafore for a 13 - 14” TEAROOM Doll incorporating stars and hearts …. A basic knowledge of working ‘in the round’ and stranded knitting/ working from a chart will be needed to make the pinafore but it has been designed to be quick and easy. Pinafore is seamless and removable. 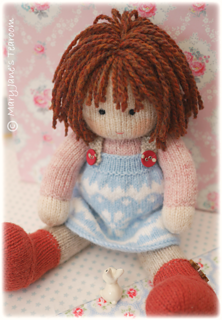 Instructions to make a TEAROOM Doll are not included but doll patterns are available in our RAVELRY Store here to make both ‘flat & seamed’ or ‘in the round’ versions.